Woke up at a slightly more reason about 6.45am his morning. DH did the coffee run to roaring forks and when he got back we had breakfast of pop tarts and coffee. 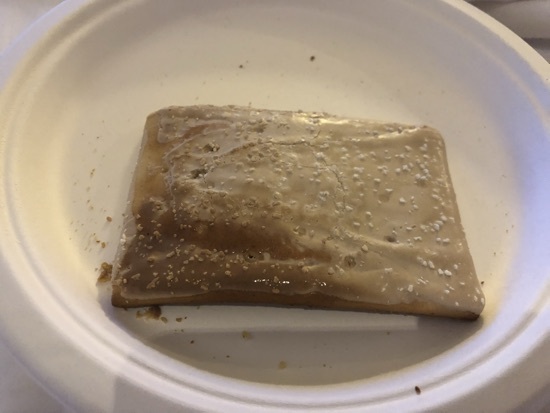 We had a s'mores pop tart each first, these are one of our favourites! I also picked up some Walmart branded salted caramel ones, I tried one of these purely for research purposes  they were abit too sweet, which was saying something as pop tarts are meant to be sweet! We got ourselves ready and headed out about 8.45 for a morning at animal kingdom. 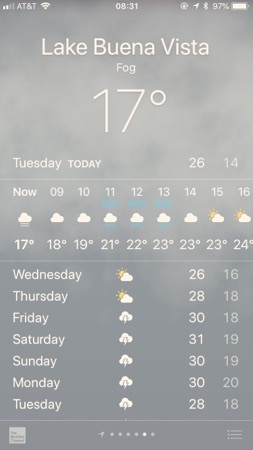 The weather is meant to be warmer than yesterday but still overcast and cloudy with a chance of rain later this morning. 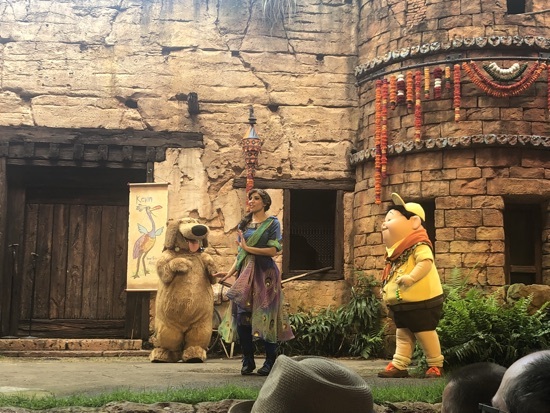 We arrived at animal kingdom about quarter past 9, bag check was quite busy but the pass holder queue for the tapstiles was non existent  We picked up a wilderness explorer booklet for DD and visited a few of the badge stations on our way round the back of the tree of life. 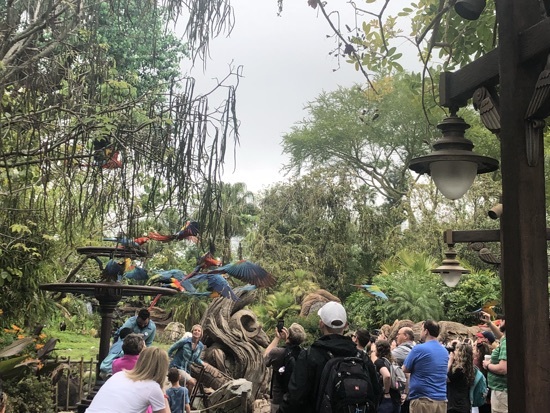 We caught the parrot show which was really impressive! 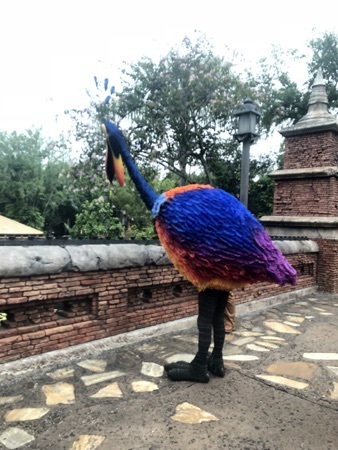 We also bumped into Kevin! 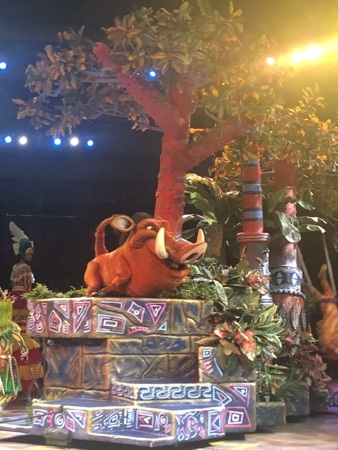 We were making our way to pandora for our fastpass for flight of passage but the festival of the lion king was just starting so we popped in and watched the show. This is so good! The performers are fantastic with some really impressive acrobatics. This finished at 10.30 and was perfect timing for our flight of passage fastpass, unfortunately this is one I can do  so DD and DH went on, this is DDs first time as she has only just reached he 44 inch height requirement. 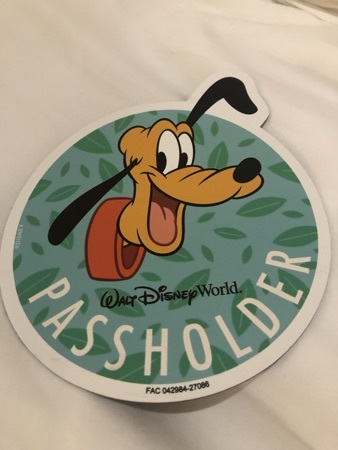 While they were on flight of passage I headed down to guest relations to see about renewing my annual pass to a gold pass by using our 14 day ultimate to bridge some of the cost. 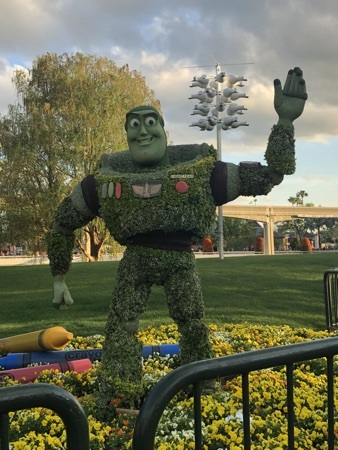 My plan was to do it if it was under $50 as were not sure we will make it back thing 12 months but I didn't want my annual pass to expire (sad I know). David at guest relations did the maths and came up with a cost of $84 to do this. I reluctantly said thanks but no thanks as it was abit much just to keep it on for myself in the off chance we may make a trip on feb/March next year. He told me to hang on and see what he could do and popped out the back and a minute or so later came back with the amazing news he could upgrade/renew me for no additional cost. He asked if I wanted to do the same for DH and DD too so I jumped at the opportunity. 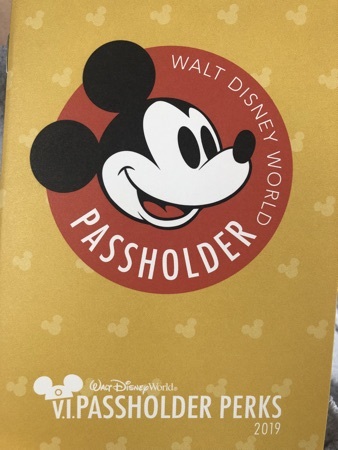 We have no intention of going to a water park this trip and blackout dates won't effect us so this was absolutely fantastic news and I can't stop smiling at being a pass holder for another 367 days! And if we manage to get a trip in at the beginning of next year our tickets are covered! 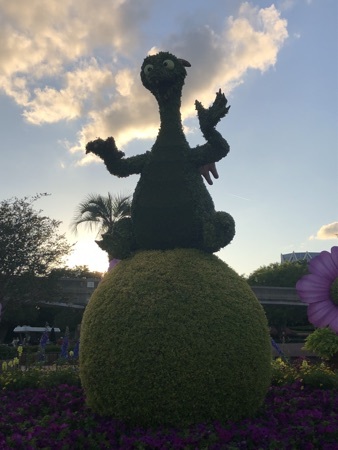 I made my way back to Dd and DH to tell them the great news and see what Dd thought of flight of passage, she absolutely loved it! 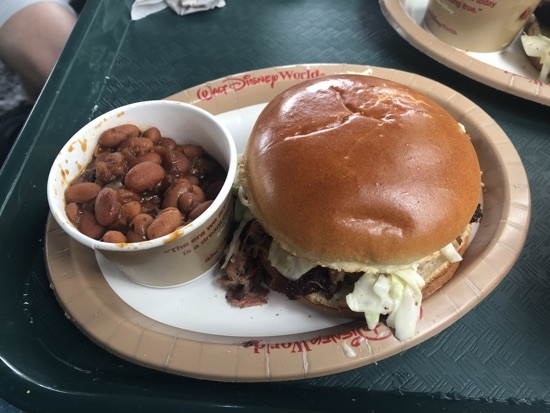 By now we were getting hungry so a trip to flame tree bbq was in order. DH and I both got the pulled pork sandwich for $10.99. 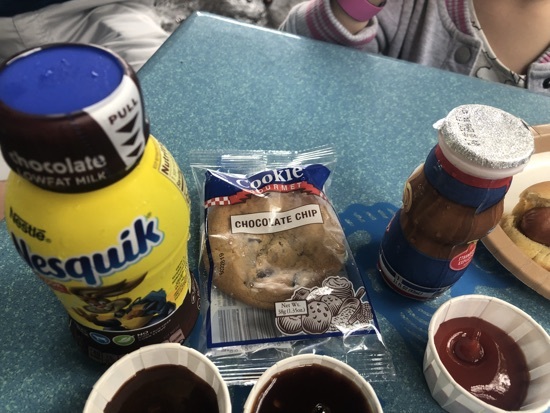 Dd had a kids hot dog meal with yoghurt, chocolate chip cookie and a chocolate milk. I feel like the kids meals are really good value at $6.99. Total cost was $30.86, we found a seat under the covering outside and grabbed some sauces to put on our sandwiches and hot dog. I also asked for 2 cups of water with this and we added some Robinson's squashed that we brought with us to make juice. After our lunch our fastpass for Minnie and Mickey meet and greet was open so we went to meet them guys and get their autographs. 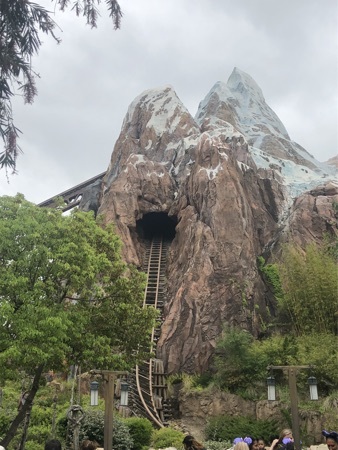 While in the queue I modified our safari fastpass for Everest, another new ride for DD. I wasn't sure how she would take this ride as she is only 5 but she came off and absolutely loved it asking to go on it again! 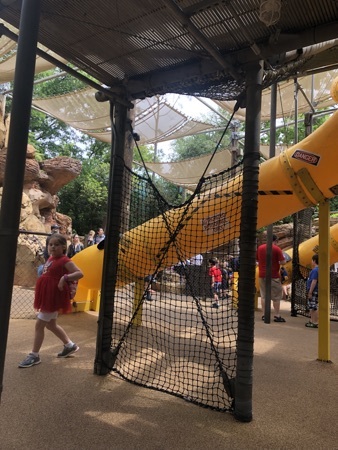 I booked us a fastpass for Navi river journey, one of the few rides in this park I'm able to do  which we had about a 50 minute wait for our slot to open so we took Dd to the dog site play area in dinoland. We have never been here before but she absolutely loved all the slides and it was perfect weather for it with it not being too hot that the slides burn the back of your legs. It was now time for our fastpass for navi river journey. 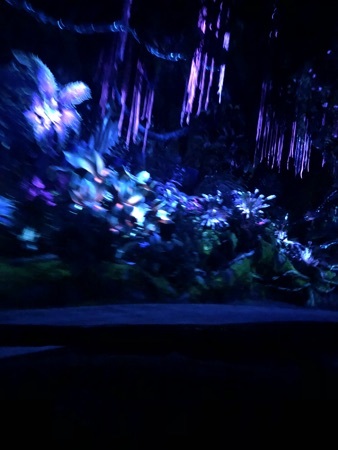 We wandered over to pandora and did our first Animal kingdom ride all together  this is a sweet ride but wouldn't queue 80 minutes for it. We noticed flight of passenger had a 195 minute wait too! After navi we walker round to the up bird show, something we've never done before in its current or previous form. It was good but not sure it's something we would do again. We ended up being quite early for our reservation at Kobe so had a look on the Nike outlet store just down the road but nothing took out fancy. We parked up outside Kobe and went in when it opened bang on 5pm. 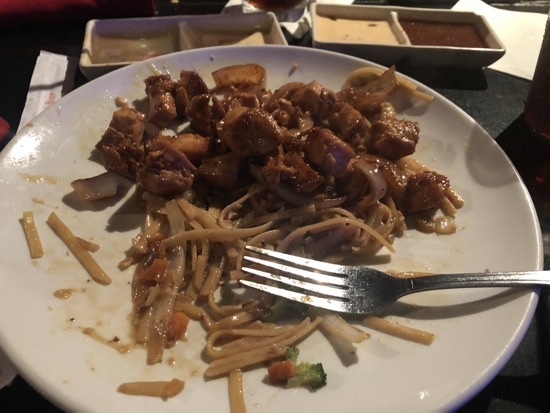 We were seated at a hibachi table almost immediately and a server came and took our orders. Dd and I had the chicken teppanyaki and DH had the sirloin steak. 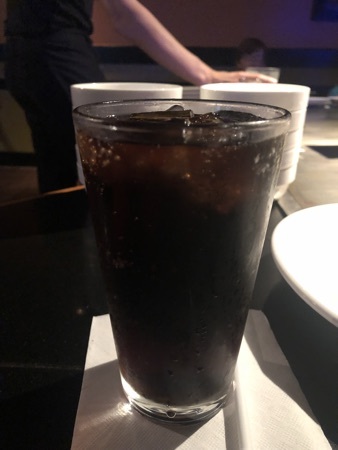 We each ordered a coke to drink which were brought out quickly. 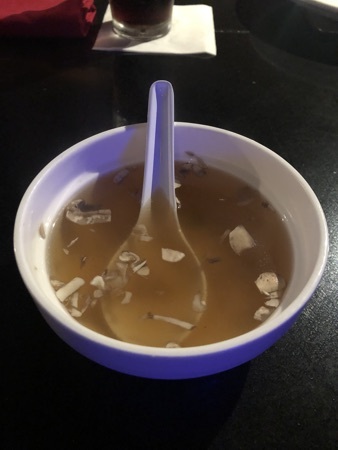 The first part of the meal is a mushroom and onion soup, this is really tasty and Dd particularly enjoyed this. 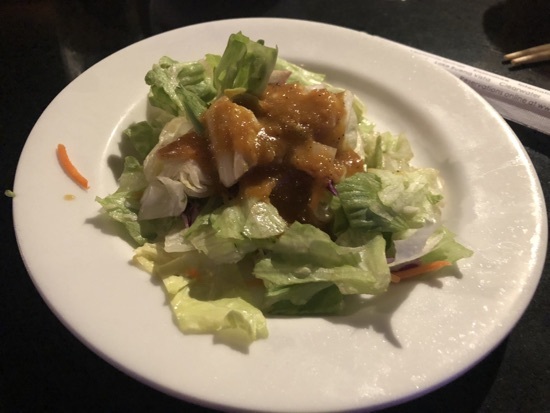 Then comes the salad with a ginger dressing. Dd didn't want hers so DH finished that off for her. They dressing is really tasty but has a weird texture. 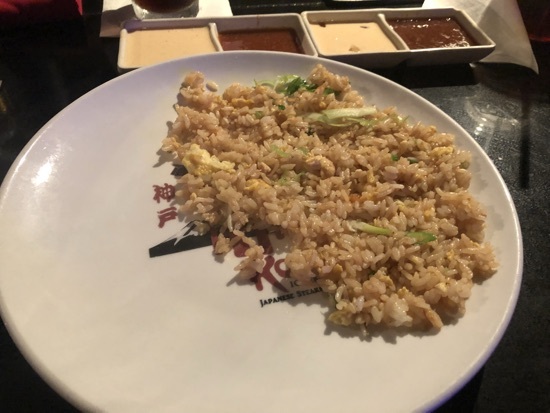 The hibachi chef then came out and cooked he main bulk of our food, he started with the fried rice first, the serving was a decent size each. 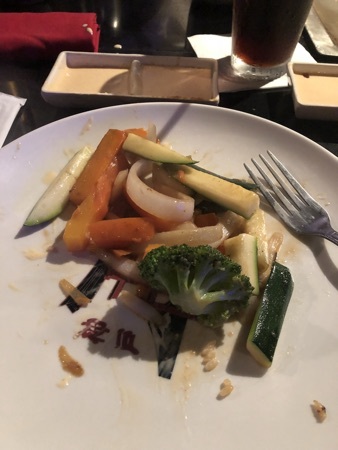 We then got a selection of cooked vegetables, these included courgette, onion, carrot and broccoli. Finally the meats were cooked and added to our plates, the chicken was really delicious but I could only manage a small amount as I was stuffed from the other bits of the meal. DH finished it off for me. Tuesdays are kids eat free and as we were there at 5 the early bird menu pricing was in effect. 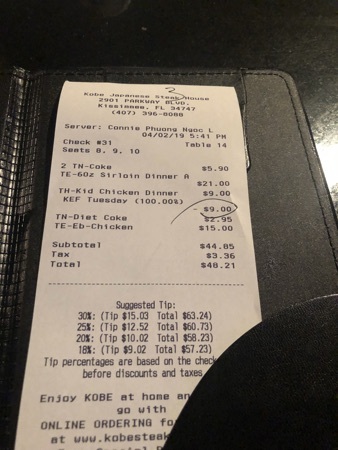 So DHs sirloin was full price to allow Dd to eat free and I got the early bird pricing on my meal. With out drinksnit came to $48. 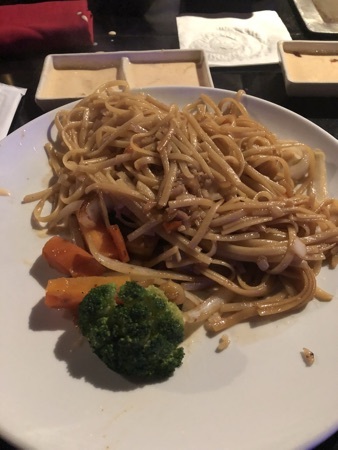 We find Kobe excellent value for money when you consider the quantity and quality of the food. After we paid up we made a trip over to Epcot. Before leaving AK earlier I had made a fastpass for soarin for later tonight. 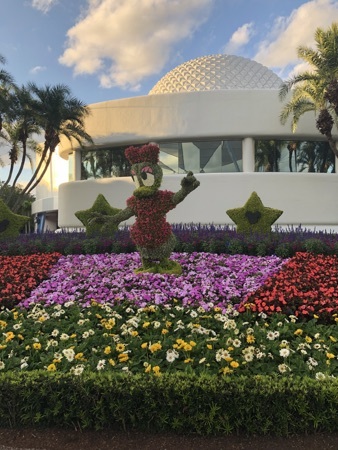 When we arrived at Epcot DD and DH went on spaceship earth, I used this time to have a look round some of the topiaries in Future world. 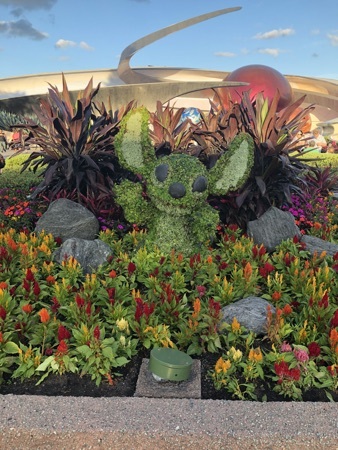 I also called into mouse gears and picked up our annual pass holder flower and garden festival Pluto magnets. 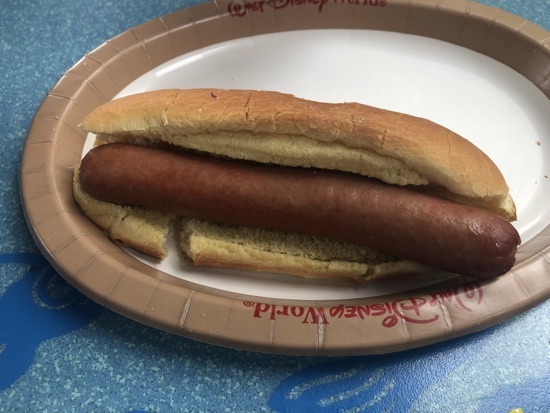 When DH and Dd finished on spaceship earth we called into club cool to try the different coke drinks from round the world and the all had a look round mouse gears while waiting for our soarin fastpass. We walked over to he land pavilion and we're still slightly early so DH and Dd went on living with the land which had no wait at all. This meant when they were done it was time for soarin, we were thrilled to get the middle front row, we haven't had that for years! While on the ride the strangest thing happened. The cast member had to announce over the tannoy a couple of times that flash photography was not allowed, they then stopped the ride mid way though and we returned to the ground. A couple of minutes later the ride started again from the beginning. So we got one and a half rides . As we came off soarin we walked past the character spot meet and greet and could see there was no queue, we entered just before he cast member closed the queue for the evening. We saw Mickey, goofy and Minnie and then decided to call it a night as it was after 9pm and although it was extra magic hours tonight we don't find them beneficial as fastpass isn't available and we don't really queue for anything these days if we can help it. 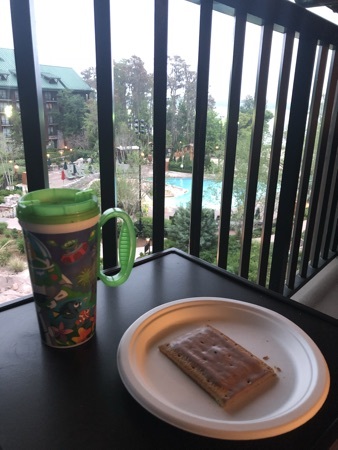 We walked out of Epcot and returned to wilderness lodge, on the way back to our room I popped into roaring forks and filled up our refillable mugs with Minute Maid lemonade and got a magic cookie bar to share between us. This was $4.25 and just as good as the last one, we each had a bit before getting ready for bed and saved the rest for morning. New Photo Added by missdopey - 3 Apr 19 10:33 AM. 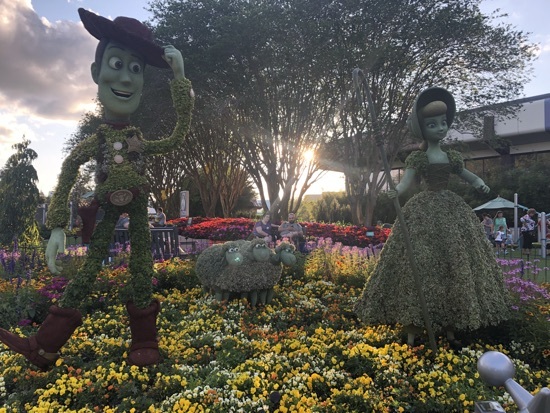 Ahhh lovely photos of the flower festival! I have been twice and just loved it. We havent done the new Soarin yet though. Am enjoying your trip report its taking my mind of the cold here! 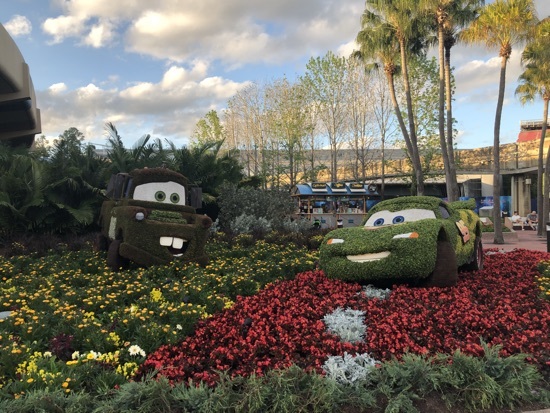 How good was that news with your annual passes? Kobe looks very good, I think I'll suggest it to my lot for dinner when we're in our villa part of the holiday. Loads done today. Excellent AP news, bet you were thrilled! 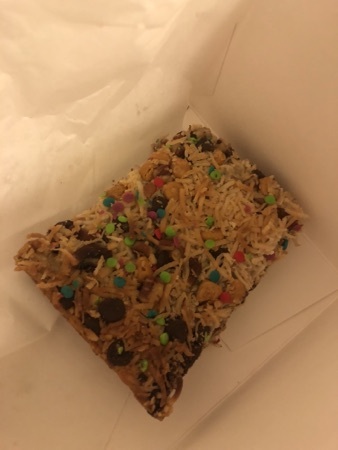 That food looks delicious  as does the magic cookie bar!